Because I had enjoyed the first D-Frag manga so much, it wasn’t a hard decision to go into the second manga. It continues the awesomeness the first manga started. 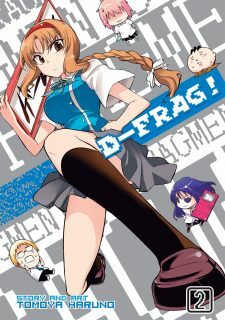 In brief, D-Frag! volume 02 sees Kazama protect Takao from the girls in his club whom are keen on punishing her after winning their last contest. The other Game Development Club discover their official name is Game Development Club (Temp). Kazama learns about the other, more powerful gangs at his high school. Sakura talks to Kazama about his losing focus on his goal to rule the school. He quits the club, but his gang is immediately captured by the fearsome Demon Band of Fourteen. Takao gets the Temp club to rescue Kazama, where Kazama learns that Roka is actually the secret boss of the school. What really makes D-Frag such an awesome manga for me are the constant, unexpected, whacky moments that are constantly happening. I find this kind of humor to be the funniest because you just don’t know what is coming from page to page. For example, the Demon Band of Fourteen were a group of nerdy gamers that Kazama thought they were. When he challenged them, he discovers that they are nerdy gamers, only they work out and are thugs and punks. That was funny. Having a bunch of punks then squabble over the stupid board game that Roka had slipped into Kazama’s bag just added to the humor. I loved it. I also love how the girls of the Game Development Club (Temp) are such tough girls, which also adds to the humor of the situations. Making Roka the (not so) secret boss of the school was funny, especially in how it relates to Kazama’s own quest to be the boss of the school. Takao is a fun character. On one hand, I can’t help but feel sorry for her as she’s quite timid. She’s fiercely loyal to her club, yet she’s heavily involved in her rival club’s activities. And, it appears she’s developing romantic feelings for Kazama. That could prove to be interesting. In terms of manga extras, Haruno-sensei has a couple of small, extra manga involving the characters of the series. One is dealing with Haruno-sensei’s dealings with his editor. I found that to be rather interesting. On the Seven Seas side of things, the usual Japanese honorifics are included in the adaptation. There’s a preview for the No Game No Life manga. And, there are a couple of color pages at the start of the manga. Sadly, I’m not able to properly express how much I like this manga without massive spoilers. Regardless, I can say that if you like wacky comedy series, D-Frag is a great series and D-Frag! volume 02 continues that. If you like wacky humor you should definitely check out “Jitsu wa Watashi wa” (eng. Actually, I Am…), or as Seven Seas (?) decided to translate the title for some reason into “My Monster Secret”. It’s a kind of harem manga, but with actual development (I promise). The art changes a lot after the first few volumes and it really takes off with the end of the second volume and the introduction of the principal. Forget the anime, it was crap. I don’t know when the English volumes are released, the scanlations are still available on various sites. Check the Wikipedia page, or TV Tropes if you’ve got too much time ;), for more information. 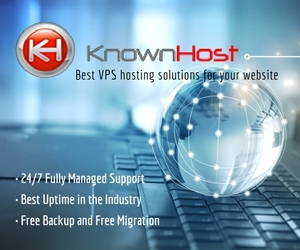 Since I know how busy you are, I don’t know if you’ve the time but you should definitely check it out if you can. I don’t know anybody who regretted reading it. If you like wacky humor you should definitely check out “Jitsu wa Watashi wa” (eng. Actually, I Am…), or as Seven Seas (?) decided to translate the title for some reason into “My Monster Secret”. I have the first couple of volumes here. I have read them and taken notes on each for blogging purposes. I do like the series from what I’ve read, though that series doesn’t have the insane comedy that D-Frag does, which seems to hit me left and right on every page with the non-stop, unpredictable thing that happens. 😛 But then My Monster Secret has an actual plot oof sorts whereas D-Frag just goes from one insane event to another. I do need to reread them and push up writing a volume review.